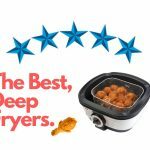 Best Air fryers in 2019 Reviewed: Are Air Fryers Any Good? Air fried vs. Deep Fried – Which tastes better? There are many different makes and model of Air Fryers. They vary from styles, sizes, capacities, wattages, colors and shapes. Choosing which one to buy maybe somewhat frustrating. So, Ask yourself a few questions. “How much money do I want to spend, how much space do I have and how much quantity will I be cooking.” Spend a little or a lot of time reading reviews and see the different types of Air Fryers. And you will find the best air fryers for your need. Air fryers are great for portion control and minimal leftovers. You should prefer simplicity, high heat and time. And the ones easy to clean. The most important thing that we recommend to you is to get a large capacity with high wattage. 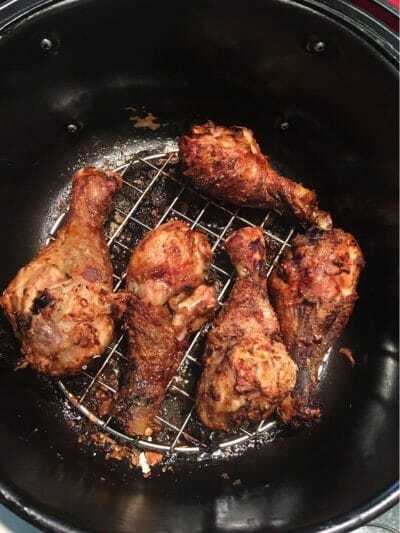 Once you learn and start using your Air Fryer to full meals, you will reach the small Air Fryers capacity very quickly and want to get a bigger one. So, always get a large size. bigger the better with a minimum of 1700 watts. The higher wattage sears and caramelizes meat quicker. for cakes and danishes, use lower wattage Air Fryers. You can use the higher wattage Air Fryers on breads and desserts but cook them at 10 to 15 degrees cooler than what is recommended. Air Fryers are like little convection ovens that are on steroids. Air fryer prices are always really close in price. There are different types. Basket type Air Fryers are more popular because it suits most people’s lifestyle. The basket sure does come handy when you shaking your fries or your other pre-frozen foods. A Multi infrared Air Fryer is suited when comes to the special type of dishes. Drain or wipe out grease and oil drippings from pan between batches. We are officially qualified to answer this. You should note that this only applies to the food that usually requires oil to cook like meat, fish…We checked which tastes better. And the winner is deep fried. It tastes better because of the amount of oil used. We say, the air fried food is about 75% of taste of what deep fried food. But if you can spray a little bit of oil, the taste can be increased to 80-85% of deep fried. But you get less oil, healthy food. It’s like saying convection microwave causes cancer because it emits radiation. Except its just heat radiation… So far, there’s no proof that airfryers are toxic. We actually do not like this because you can get something twice size and half the cost. But if you care about brand, a little bit of aesthetics and build quality, look no further. it’s the best air fryer you can get on the market. But for a large family, it’s still small. It’s only 4quarts. Enough for 4 member family though. There are two versions of this model. Analog and digital. The analog version (9630) version is white and the digital version (9650) is black. Personally, we like the digital version. Its power is 1750 watt and it’ll cook faster compared to same watt higher space air fryer. this is due to less space inside of it. And they use propitiatory twin TurboStar Technology to cook faster. 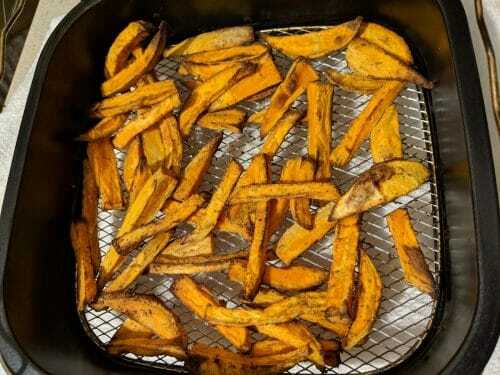 Unlike other air fryers, Philips 9650 air fryer comes with a free recipe book (30 recipes) . And they have an app too. And speaking of cleaning, all the detachable parts are dishwasher safe and easy to clean. If you are someone with a busy schedule or dietary concerns, or both, then the DASH Deluxe Electric Air Fryer is a must-have in your kitchen. This 13.8-pound machine does not use any oil at all! Instead, it employs air crisp technology and cooks anything you put inside it. Whether it’s desserts, appetizers, chicken wings or even baked goods (like bread and pastries) this DASH air fryer can cook it to perfection. The best part is that you can adjust the temperature and the timer according to your needs. Plus, this method of frying (without oil) does not leave behind any smell or oil patches in the kitchen. By the way, it comes with a one-year warranty and a recipe book. So, in case you’re not familiar with cooking, don’t worry. That’s covered too! In addition, this electric air fryer comes with a cool-touch housing, which means you won’t have to worry about accidentally burning your hands by touching a hot pan. That also makes it a child-friendly machine. 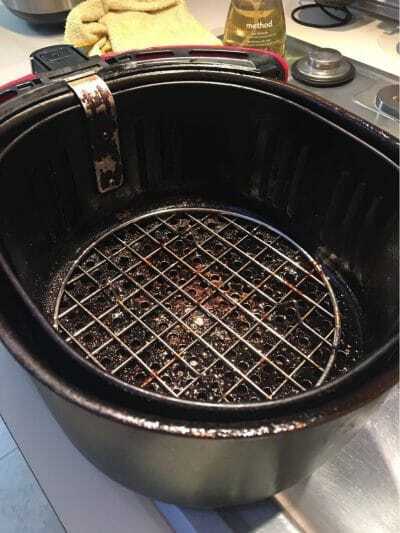 Even cleaning this air fryer is an easy task because it is dishwasher-safe. So, all in all, you can imagine how much time and energy you can save as a result of this investment. It’s no wonder then that it didn’t take too long to become the “talk of the town.”. Its one of the best air fryers in the market right now. Here are the pros and cons of this DASH Electric Air Fryer. It’s completely oil-free, mess-free and energy-efficient! We love that aspect of it. Finally, it comes in really cute colors like aqua (which is a cross between turquoise and green), red, and the classic colors black and white. The aqua fryer can definitely add a cute vibe to a kitchen setting. It might take a while to fry large batches of food. However, this particular air fryer can hold up to 6 quarts, which is fairly large. COSORI products are usually of high quality. So, we were quite excited to try out their 1700-watt air fryer for our review. Honestly, we were not disappointed. This air fryer comes in two sizes — 3.7QT and 5.8QT. The larger size can hold enough food for up to 6 people, and that’s good enough for daily use. 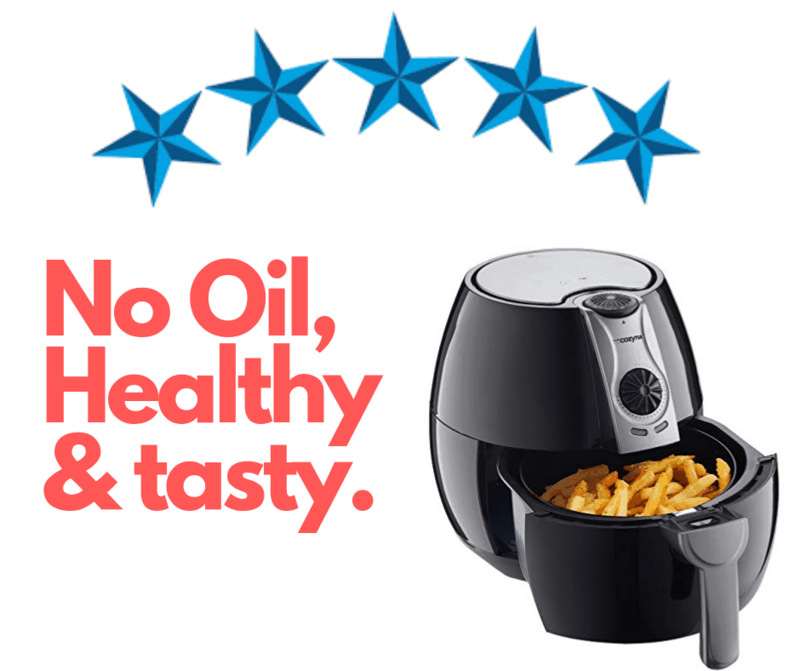 Plus, with an air fryer, you won’t have to worry about eating oily food that disrupts the dietary system. Now, you can enjoy your favorites (fries, cheese balls, etc.) with 85% less fat! As far as cleaning up is concerned, the fryer is dishwasher-friendly which is another great way to save time. Also, it comes with a cool-touch handle. So, you won’t have to worry about accidental burns when frying anymore. If you have children in your house, that is definitely good news for you. No wonder this machine is ETA/FDA approved. As you can see, we don’t have many complaints about this fryer. Nevertheless, here’s a list of its pros and cons. First of all, it’s a HEALTHY way of eating our favorite junk food, which is a great advantage. Plus, it’s a time-saving way of cooking which is very helpful, considering our tight schedules. To add to that, it’s also dishwasher-friendly! This COSORI air fryer comes with 11 presets and temperatures between 170°F and 400°F, with easy tap technology. That makes it incredibly easy to handle. Finally, it comes with a free recipe book that contains 100 recipes, AND it comes with a 2-year warranty and lifetime support from COSORI themselves. We think this air fryer is slightly on the expensive side, as other fryers such as the DASH electric fryer which has a larger capacity but is still cheaper than this one. However, considering all of its extraordinary benefits, its compact size and its easy-to-use technology, this air fryer is still worth the deal. At the end of the day, nobody really loses by paying extra for good quality. What is it that you’re craving to eat? Onion rings? Chicken wings? Egg rolls? Whatever it is, the Elite Platinum electric digital air fryer can do the job for you. This air fryer is affordable and time-saving too. It can cook anything in less time than it takes using conventional cookers, and it also reduces the hazards associated with high-flame cooking. Further, it has a capacity of 5.5QT which is just enough for daily use. Plus, it automatically switches off after cooking, which prevents overcooking. That is a huge benefit, especially for those of us who multitask while cooking and always forget to turn off the cooker! Even using this fryer doesn’t require too much effort. It comes with 7 menu functions and employs an advanced touch screen, which allows for easy usage at any given time. Moreover, one thing that always makes a product stand out is the quality of customer service. As long as the customer service takes care of mishaps properly, we’re willing to buy more products from the same brand. With this air fryer, we experienced quite a friendly customer service. That is definitely a pro in our sight. Here are some other pros (and cons) of this air fryer. This Elite Platinum air fryer is quite affordable and provides good value for money. It is also quite user-friendly and energy-efficient, making it a good bargain. Plus, it has an automatic switch-off option, which is great for people who always cook in a hurry. To add to that, this air fryer is dishwasher friendly as well. The recipe book is also definitely a pro, especially for those of you who are still learning how to cook. Its capacity is slightly lower than that of many other air fryers, but it can hold enough food for about 4–5 people. Since the average family consists of 4 people, this fryer should be good enough for day-to-day use. Further, although most of its features contribute to versatility and efficiency, it still takes slightly longer to cook. Had it not been the case, this fryer would’ve easily become our favorite. The SECURA 10.7-pound electric hot air fryer is an all-rounder. It can fry, bake, grill, roast and heat anything without using oil. So, we get to enjoy our favorite food without worrying about the fat content. Plus, it has a unique convection technology, which locks in flavor and moisture so, we get to eat healthy AND tasty food too. Apart from that, the 1700-Watt motor makes sure the machine heats up quickly, which means you can cook your food quickly too. As for its capacity, it can hold up to 5.3QT which is just about enough for an average family’s daily use. Moreover, the fryer is dishwasher-friendly and has a smudge-resistant exterior. That should be great news for lazy cleaners and busy cooks. The manufacturers also provide additional accessories, such as a rack and skewers, which makes this air fryer quite a good deal. On top of that, the fryer has a heavy duty design so we can expect it to last for a really long time. Therefore, it isn’t very surprising that this air fryer gained popularity among consumers in no time! In fact, most of them call it their “soulmate” so you can imagine just how resourceful this investment is. However, no product is free from flaws, so let’s take a look at the pros and cons of this air fryer. 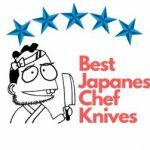 It is definitely a quick and easy way of preparing more than just fried food. If you’re a parent, this fryer makes it easy to prepare breakfast and lunch for your kids within a couple of minutes. It doesn’t even require pre-heating. Plus, it’s energy efficient, so you won’t have to keep buying conventional gas cylinders or worry too much about your utility bill. Finally, it’s easy to clean too and doesn’t really ruin the kitchen interior because it has a classy black appearance. Unfortunately, the fryer can hold a very small quantity of food. So, if you’re frying something like fillets, you might have to wait until each fillet is done. That might take quite a bit of time. Plus, some types of food don’t really taste that great when they’re fried this way. Usually, there won’t be a very significant difference. But, if you’re frying food like fish, it might taste like it’s just out of the oven. The B. Weiss air fryer has to be the best in the game. Before we decided to review the product, we did some research, and surprisingly, we found no criticism whatsoever. So, we were quite excited to give it a shot. Well, it is absolutely worth every penny you’ll spend on it! Mind you — it is quite expensive. But, we’re certain you won’t be left with regret. All it takes is about one spoon of oil for it to cook anything, including snacks, desserts and breakfast food. Its rapid air technology makes it heat up pretty fast, so the frying process doesn’t take very long, making it quite energy-efficient as well. Plus, users can adjust the temperature and time to suit their needs. The machine offers temperatures between 140°F to 400°F, which is just enough to fry potato wedges or prepare a good steak meal. Moreover, it has an effective non-stick surface so cleaning up is very easy. Plus, the frying basket is dishwasher-friendly, and it takes only some quick dabs to clean the exterior of this fryer. What’s more, this fryer is so easy to handle so anyone can use it. In case you’ve never cooked before, the free recipe book contains some mouthwatering recipes, ranging from comfort food to desserts. Finally, it comes with a 1-year warranty and 24-hour customer care service. So, whenever you face a problem while using it, you can expect assistance from the manufacturer. All-in-all, we think this would make a great addition to your kitchen. Let’s take a look at its pros and cons. It’s extremely easy to use and super-efficient. Plus, it’s big enough to hold an entire chicken. With a capacity like that and its efficiency, cooking becomes less tedious and more enjoyable. This fryer can cook anything from fries to BBQ ribs with 80% less fat! So we get to eat our favorite food without worrying too much about the calorie intake and health side-effects. Finally, the fact that it can be cleaned with ease is definitely another pro. After all, who would say no to a machine that saves energy, reduces health issues, AND doesn’t create much of a mess? Unfortunately, this air fryer is on the higher side of the price scale. However, we believe it’s alright to pay a little extra if it means you’ll get better quality in exchange. Wash the basket then turn it on for 20 minutes on the highest heat setting. This is super easy. Set temperature at 400 degrees. Add water about 1 inch above the basket. Add 1 teaspoon of dish washing soap. Cook for 15 minutes. When done, remove pan and basket and wipe and rinse until clean. Wipe outside of pan to dry. Cook wet empty pan and basket for 5 minutes to dry. Done. The physical clean-up from start to finish (prepping, washing the dishes and cleaning the airfryer/s) on every dish takes less than 10 minutes. That is actually faster than preheating the oven. Also, cooking time is mush faster and of course less greasy. 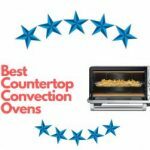 Conclusion - Are air fryers worth it? Yes. Air fryer is a must have appliance in your kitchen. Why should i buy it? Health benefits! If you ever buy fried chicken and you reheat in an Air Fryer, you will be shocked at how much oil comes out of it. And it heats more evenly than the microwave and nothing gets rubbery. To get the best things to make in airfryer, you need to master the heat and timing. So in the end its actually worth it to buy. I know of people with 6 airfryers from 2 qt to 12 qt. 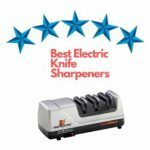 10kitchen.com is a participant in the Amazon Services LLC Associates Program, and we get a commission on purchases made through our links. 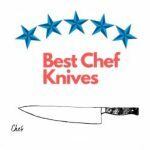 The Best Chef Knives in 2019 Reviewed and What are Good Chef knives? COPYRIGHT © 2019 · 10KITCHEN.COM, ALL RIGHTS RESERVED.